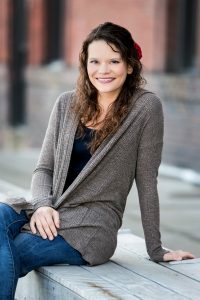 I’ve been sharing my experience with Binge Eating Disorder on the blog, and now I want to ask you to think about your own eating habits. No judgment here, I promise! This is just for your own awareness. Have you ever taken down a whole pizza to yourself while watching the new season of Fuller House on Netflix? (Come on, give that show a try!) Have you ever turned to a bowl of ice cream after a stressful day at work? Or maybe you wait until everyone at your house goes to bed to eat three pieces of cake as quietly and quickly as possible. These scenarios represent 3 different eating terminologies – overeating, emotional eating and binge eating. None of them are uncommon and they all have commonalities within them – so where’s the line? 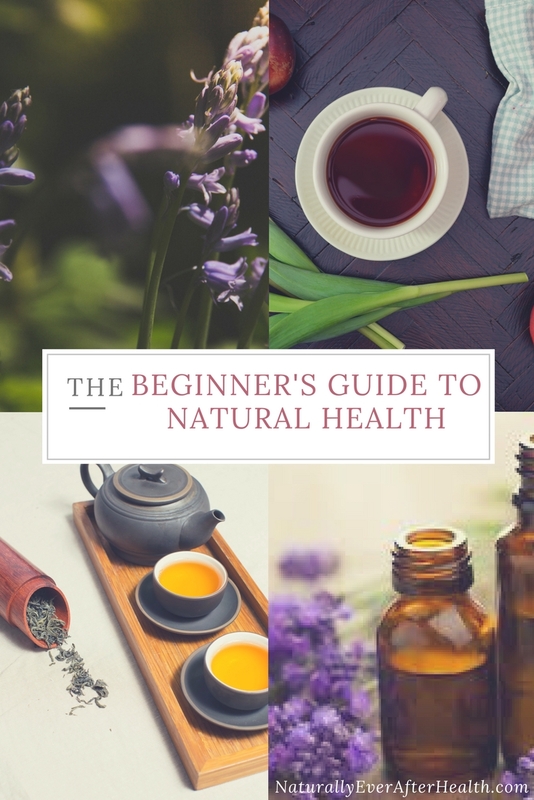 In this post, I’ll explain each definition and offer a quiz to help you determine if you’re approaching the line into disordered eating habits. Let’s dive right in – binge eating means to eat a large amount of food in a short amount of time. When someone binges, they typically feel like they’ve lost control and cannot stop eating. They often eat to or past the point of physical discomfort and feel guilt and shame afterward. You eat alone because you’re embarrassed to eat in front of others. You experience self-deprecating thoughts, depression or strong guilt after eating. You eat much more rapidly than usual. You eat a large amount of food when you’re not feeling hungry. Binge Eating Disorder is not the result of an occasional session of overeating. It’s recurrent episodes of uncontrollable overeating that may lead to emotional and physical distress. We’ll circle back to this in our definitions for the other two eating patterns. It happens – everyone overeats. No one is perfect (and I believe that trying to be perfect in your diet is what leads to bingeing or overeating, so drop that notion!). But how do you separate overeating from bingeing? Potlucks, special occasions, holidays, cookouts – there are many occasions where it’s pretty much a given that everyone overeats. The keyword in that sentence is “occasions.” Overeating is occasional. It doesn’t happen every day, and it’s often not a situation where you feel like you’ve lost control. You might think to yourself, “Damn, I’m full,” then Aunt Mary brings out her insanely rich French silk pie and you realize you probably won’t get this opportunity again until Christmas, so you think, why not? You might feel slightly guilty and a little bloated after, but you’re able to get on with life. The feeling likely doesn’t haunt you for hours, and you probably don’t overeat at your next meal. Food is a common source of comfort when we’re stressed. I, for one, always think of something sweet when I’m any kind of emotion – stressed and sad or ecstatic and happy. Cry with ice cream or celebrate with ice cream, it just seems right! Emotional eating, like overeating, is normal. Everyone does it, but there’s a factor that separates it from binge eating – you’re typically intentional and aware of when you’re eating to fill a sense of comfort versus a physical hunger. It can even be controlled. You might pick to eat one cupcake because you’re happy that it’s Friday. You might even be able to stop at one because you know why you’re eating it. You’re in control of the situation. Or maybe you overeat by having 2 or 3 cupcakes. Oops, it happens. But if you’re eating to numb your emotions, it’s very easy for those 2 or 3 cupcakes to turn into 10… AKA a binge. 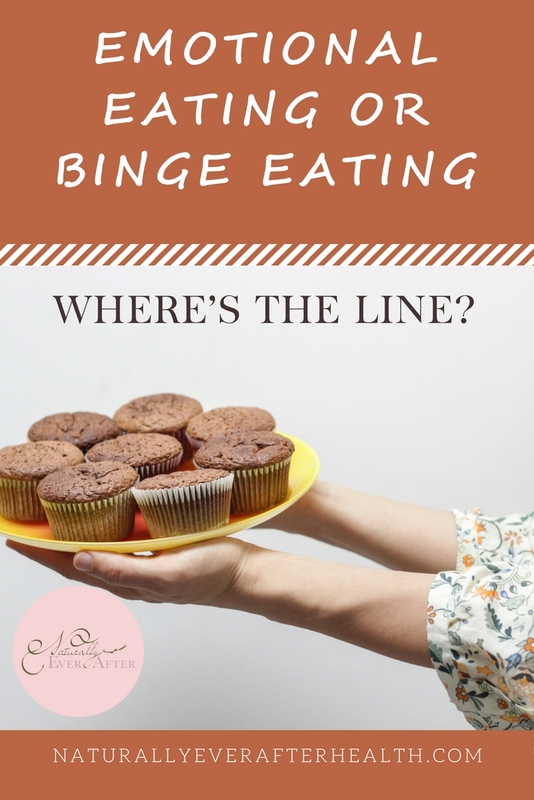 The main difference between binge eating and the other two is the loss of control you have with the disordered eating. Yes, you might joke that those gorgeously frosted cupcakes do have control over you and you just can’t resist one, but that’s not bingeing. That’s not something to be concerned about. Whether you find yourself overeating or emotional eating, the key is to stay aware of why you’re eating. It’s when you eat on autopilot that you lose the sense of what you’re doing. This actually gets more confusing because people with BED are aware that they’re bingeing, but they truly cannot stop. However, they really don’t know why they’re bingeing. When you overeat or eat for comfort, you typically can look back and point to the reason why. Another thing to be aware of with emotional eating is the desire to numb your emotions. This is dangerous because it will put you on autopilot. The more often you do this, you’ll keep eating past the point of being full and can fall into the danger of binge eating. Bottom line: Emotional eating and overeating are normal and acceptable. Always be aware of your intention with those two. Be present with your food and at least enjoy it! It becomes binge eating when it no longer feels or tastes good. Quiz: Where Are You on the Binge Eating Scale? Still not sure if you’re falling into disordered eating? Here’s a quick quiz to help you understand your eating habits better. If you’re concerned, talk to someone right away and seek help. 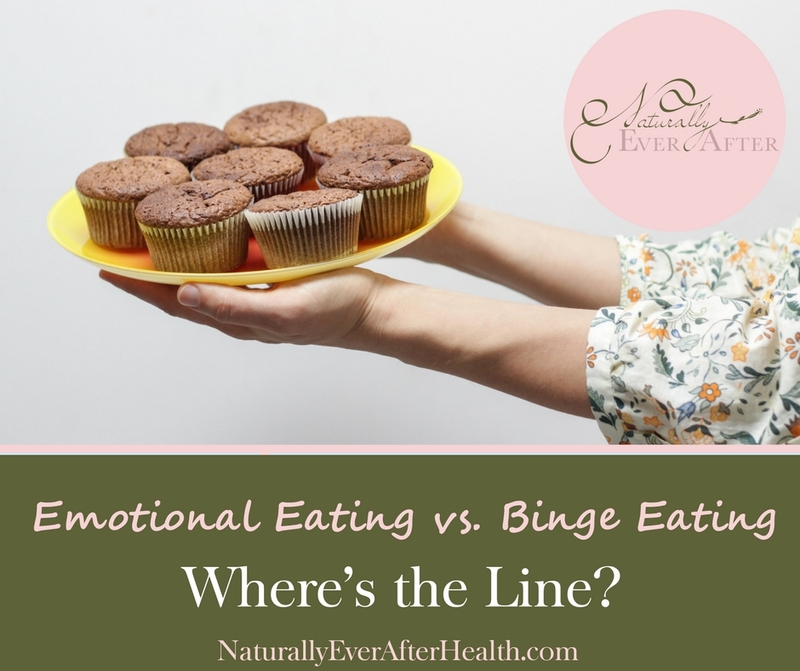 What questions do you have about emotional eating vs. binge eating? Let me know by leaving a comment!